We often take power points for granted in our home and work. Most of the time we plug in an appliance and flick the switch and it all works well. But there are a range of common power point problems that end up in calls to TMOT, your licenced electrical contractor to fix faulty power points. One of the most frustrating problems occurs when your lights are working, but half or all of your house power points are not. This is usually due to a faulty appliance that has tripped your safety switch. Unplug every appliance from the circuit and then reset your safety switch. If it trips again, then go back and check that you have unplugged every appliance (including the dishwasher and microwave). Reset your safety switch. If it trips again, and you are 100% sure that there is nothing plugged in (you did check the gas hot water system and pool pump didn’t you? ), then call us to check your circuit for you. If your safety switch stays on, then plug back in your appliances one at a time to identify which is the faulty one. If you have repeated nuisance trips, then consider upgrading your safety switches to more modern combined switches. Read more about upgrading your safety switches. Power points that carry a heavy load such as a heater or iron, can spark when the plug is removed or the switch turned off. Always turn off the appliance from the appliance switch before you attempt to remove the socket from the wall. If the switch sparks when there is not a heavy load, then the switch needs to be investigated. It could be a cheap overseas import as many of them are on the shoddy side and can spark. You could also have faulty wiring or a faulty plug to the appliance. Until you have your sparking power point checked by a licenced electrical contractor, you can’t be sure of the exact cause. So play it safe and don’t use that until you have had it checked out. If all of your power points are working except one, then you have a fault to that power point. To confirm that the power point is the problem, try plugging in an appliance such as a hairdryer into a different power point to make sure that the appliance works, and then plug it into the power point that you suspect is faulty. If nothing happens, then you need a licenced electrical contractor to check it out and replace your power point for you. Power point switches, particularly in cheaper power points, have a fixed lifespan depending on the type and frequency of use. After a while, you may notice that the switch drops to one side or goes wonky. This is more than cosmetic and means that your power point needs to be replaced. 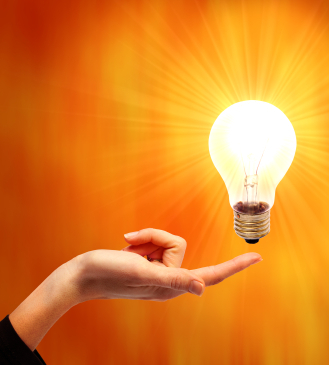 If your power point is cracked or damaged, it is dangerous and needs to be replaced. Don’t use it! You could put a sign or some duct tape over it to make sure it can’t easily be used. You plug in an appliance, only to find that the plug gracefully slides half in and half out of the power point or you find the plug is wobbly. This means your power point connections are aged or damaged and your power point needs to be replaced. Because your power points are so hard working, Tradesmen on Time will never cut corners on quality just to save a few dollars. 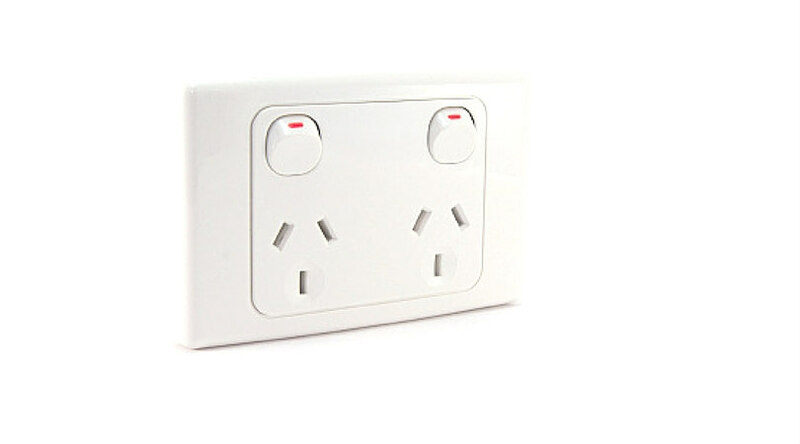 We only use premium quality replacement power points that are proven to last for our Brisbane clients. When you are getting a faulty power point repaired or replaced, it’s a great time to consider upgrading to a double power point or a power point with an inbuilt USB charging point. This adds extra functionality to your home at not all that much extra cost. Have faulty power points? Call us!